Rothsay is a town of about 500, and sits on the west central plains of Minnesota. 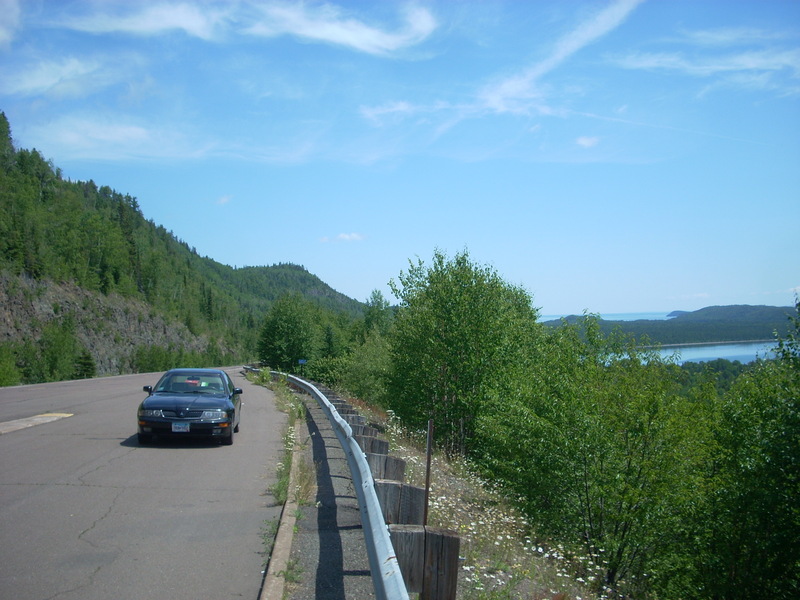 It is a little interstate town with a popular truck stop, between Fergus Falls and Moorhead on I-94. But it is known for its roadside attraction foremost. 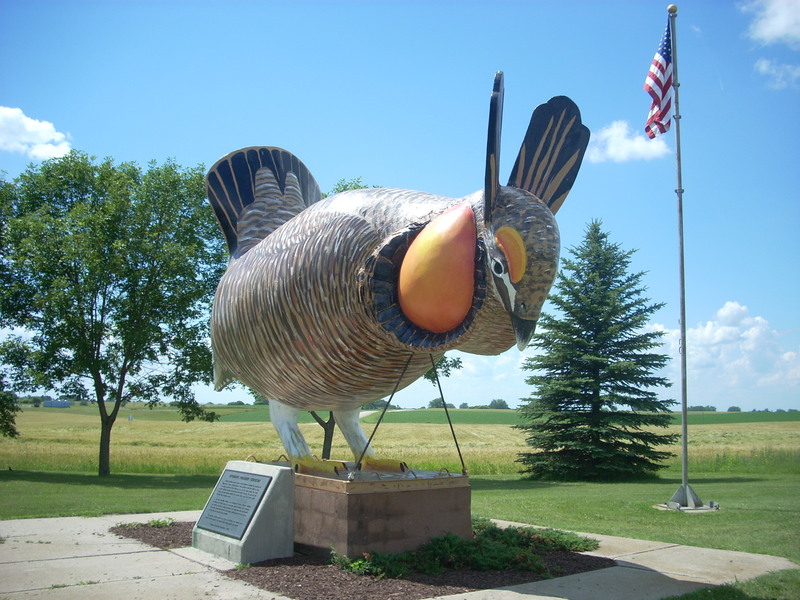 Rothsay is home to the World’s Largest Prairie Chicken, and it is found right off the interstate exit ramp. Surrounded by a small park and a view of the surrounding plains, tourists can picnic here and learn about the history of the area a bit. The plaques here describe the virgin prairie to have grasses 10 feet tall back in the day, and prairie chickens used to run rampant. The Red River Valley is known for its great topsoil which used to run pure black 10 feet deep. Rothsay’s earliest roots are farming-related and when the railroad came through town in the late 1800’s, Rothsay flourished. There were actually bootleg joints here later too. The town hosted the state plowing contest in the 50’s, and Rothsay has been a mainstay on I-94 to this day. The town cafe is pretty good too, as I recall from taking refuge there while waiting out a blizzard once in my college days. While in the area: Good waterfowl hunting, and state land is readily available. Pelican Rapids, Fergus, and Moorhead are all just a stone’s throw, and Rothsay is right southwest of Lakes Country. This entry was posted in Highway Highlights and tagged Minnesota Marvels, MN, Prairie Chicken, Roadside Attraction, Rothsay by Seth5544. Bookmark the permalink.